​"Our films are not just images set to music, they are love stories. The reason for our ability to tell your story is how we prepare for your wedding. We take the time to meet with you prior to your wedding and learn all the details about your relationship AND your special guests who will be attending, so when we start filming the day of, we know exactly who to focus on." "We are known for genuinely capturing the moment of your wedding day—so when it’s all said and done, this moment is preserved and you can re-live it over and over." "To me—I feel like capturing these moments, ever so carefully, is my superpower. And it is a true gift to be able to do so." 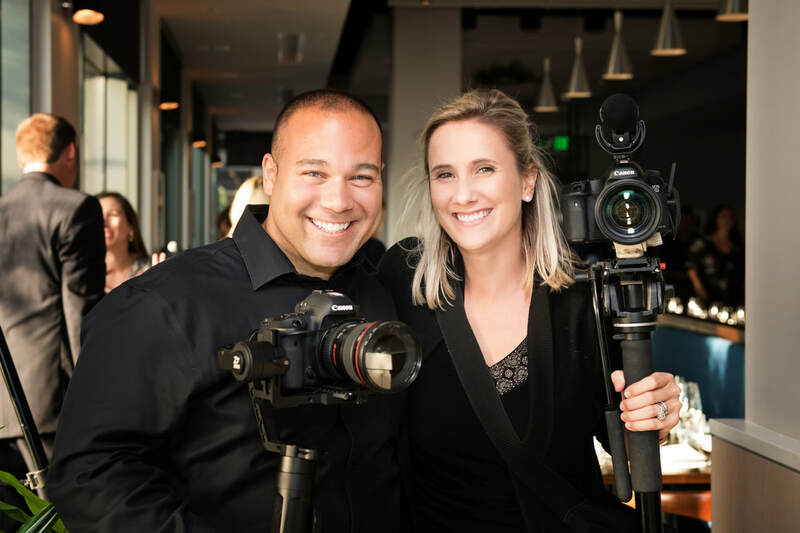 Lead filmmakers, Chris and Lisa Serino, are incredibly talented behind the camera, but it is their kind, friendly and easy going personalities that allows them to capture the most authentic, and emotional moments of your wedding. Lisa started Next Level Films in 2011. She is a hopeless romantic, and loves sharing her passion for filming weddings with the love of her life! Chris and Lisa's love story began back in 2002 when they happened to be working outside of a freshman dorm at Merrimack College. Lisa was an orientation leader and Chris was a residential advisor helping freshman students move in during orientation weekend. Every time Lisa helped unload a car, she walked by Chris handing out room keys, and she knew she had to find a way to talk to this guy! Too shy to go right up to him, she enlisted the help of AOL Instant Messenger (Facebook & Instagram didn't exist yet!) to track him down. And just a few weeks later, they went on their first date to La Famiglia in the North End. Lisa was smitten, and she knew that she had met the one. But it wasn't until 7 more years of dating (including 2 years of long-distance) that Chris finally proposed! They tied the knot in July of 2009 and their wedding day was truly one of the best days of their lives! Lisa is fascinated by the unique stories of how her couples met! She loves hearing about the years leading up to their engagement and the story of how they got engaged! Both Lisa and Chris find it incredibly fulfilling to film weddings together as a husband and wife team. One of the perks is that feeling of being 'on cloud nine' after getting to spend the day with couples that are so deeply in love, surrounded by their family and friends who are also beaming with happiness. The energy and emotion is pretty incredible on a wedding day, and they consider themselves very lucky to get to be a part of it.